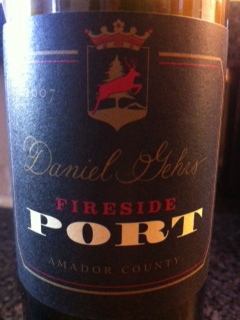 Purchased from the Daniel Gehrs tasting room in Los Olivos, CA. This entry was posted in Uncategorized and tagged 2007, California, Central Coast, Port, Red by aaronandteri. Bookmark the permalink.